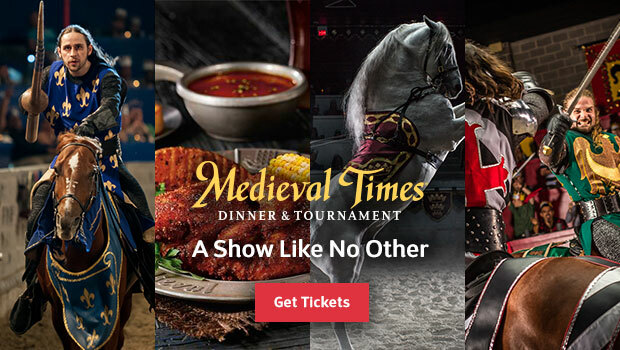 Medieval Times Dinner & Tournament is America’s most popular dinner attraction, featuring heroic knights, athletic feats, and amazing swordplay. Dinner guests enjoy a “hands-on” feast, while enjoying the thrilling entertainment. I have an exclusive offer to share with you today! My readers can save up to $25 off admission for adults and up to $9 off admission for children (12 and under). That makes the admission price just $36.95 for adults and $29.95 for children! Visit the Medieval Times website to get your tickets today. Just use promo code MT3629 at checkout. Hurry because this offer expires on 2/28/17!